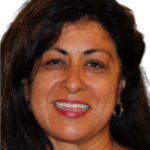 Amanda Flores is a retired educator whose teaching practices have focused on affirming the power and importance of a bilingual education for all children and recognizing the abilities of each child as an individual. Her professional experience includes 23 years as a TWBI first grade teacher at Patrick Henry TK-5 Dual Immersion School where she was able to work with a strong team of dedicated professionals and nurture crucial partnerships with parents. 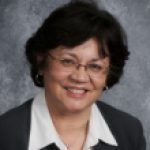 As a dual language advocate she has provided professional development for bilingual educators at many conferences and served on national, state and district committees. She was able to represent all teachers when she was selected as 2007 CABE Two-Way Bilingual Immersion Teacher of the Year, an honor that included a course of study at the University of Salamanca, Spain. She continues to strongly promote professional organizations that support bilingual education and 21st century skills for diverse populations of students because her great passion is being a partner in seeking out the best educational and social outcomes for students and their families.